If a picture is worth a thousand words, then how many words would the right colors be worth? We are often unaware of the effects colors have on us, despite the fact that its psychological effect is instantaneous. But why are they so important for retailers and their online catalogs? Colors are an essential part of how your brand is communicated. Scientifically, they are the first things we register when we are assessing anything. This is because colors give your brand emotion. Depending on the colors you choose or what you want to communicate as a brand, color can help you stand out from everybody else. But in order to stand out, you should choose your colors wisely and understand what they communicate. Aside from affecting us emotionally, colors are so important because they also have a psychological and even a physiological effect on us. Here’s an infographic that outlines the symbolic meaning of the most basic colors used by brands. DO select an average of three primary colors to represent your brand. This will make it easier to maintain a coherent visual identity in your logo, website and so on. Take Starbucks as an example. Their three primary colors can be seen in their logo: black white and green. The white is used to create a sense of cleanness and simplicity. 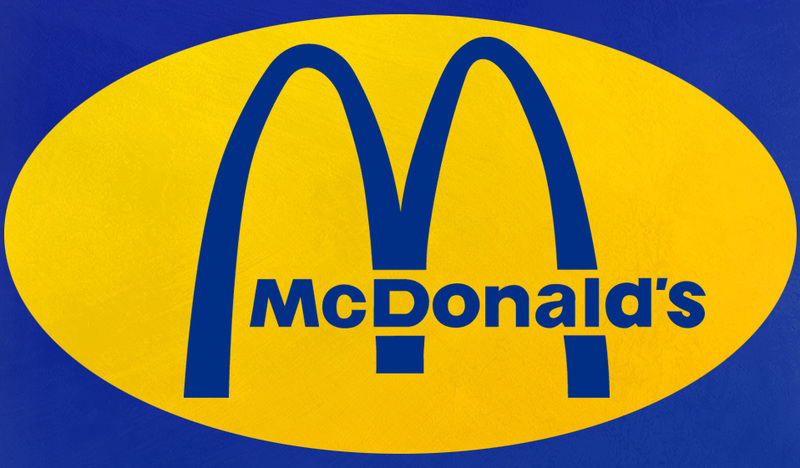 The color doesn’t add extra ‘weight’ to their logo. Black represents strength and elegance. They want to be the best coffee maker in the world, and black gives a sense of authority. Their primary color, however, is green. They use it to portray their main goals: creating environmental awareness and promoting their fair trade coffee products. There are more examples of other brands doing this, which you can find on Business Insider’s 'Branding and the psychology of color'. DON’T just stick to the traditional color theory that only focuses on meaning and emotional connotations. While you should definitely take these connotations into account when choosing colors for your brand, they shouldn't be the only factors you base your decision on. To give you an example, you should also look at the cultural connotations colors have, as well as trends related to your brand. For more information about this, have a look at 'Why color is important in branding'. DO research your competitor’s color identity. In order to differentiate yourself and avoid focusing on the traditional color theory, make sure you know not only who your competitors are, but also what their color palettes look like. DON’T surpass the limit of five colors. Remember, keeping it simple is much less confusing than trying to include too many colors at once. Many different colors will have various connotations. They will evoke too many different emotions, and consequently decrease the credibility of your brand communication. For example, if your brand logo is made up of orange, yellow, blue, green, red and violet, how is the consumer supposed to know exactly what you stand for? These colors all communicate various emotions and connotations. A brand that includes more than five messages is not realistic in its goals and therefore not credible. DO include accent colors in your brand identity. These usually tend to be vivid or bold colors which are used for emphasis in a color scheme. You can use these colors to add more depth to your visuals and communication as they can be more captivating and engaging than words. However, the same rule of our first ‘don’t’ counts here too, so be careful not to include too many of these colors. One or two should do the trick. DON’T use completely different colors to your primary color palette. If you really want to spice up your color communication, changing the colors completely will only alienate your customers and they might not recognize your brand anymore (that is, unless you are rebuilding your entire brand identity). DO play with your primary colors’ highlights and lowlights. What you should do if you slightly want to change your colors or add some sub-colors to your palette is to play around with the ones you already have. Whether you make them darker or lighter, they can enhance the message you are trying to communicate to your customers. DON’T randomly pick out colors that you like for your primary palette. In order to pick the right colors for your brand do some research first. DO use different tools to pick out the right color palettes. Fortunately, there are many useful websites that provide inspiring color palettes for your brand. Use these as inspiration and as a guideline in order to help you make color decisions for your business. Some websites you should look at are Kuler Adobe and COLOURlovers. These sites provide color palettes for website design but can be just as useful in building your brand’s visual communication. Design Seeds is another inspiring site which actually uses visuals as a base for each palette. 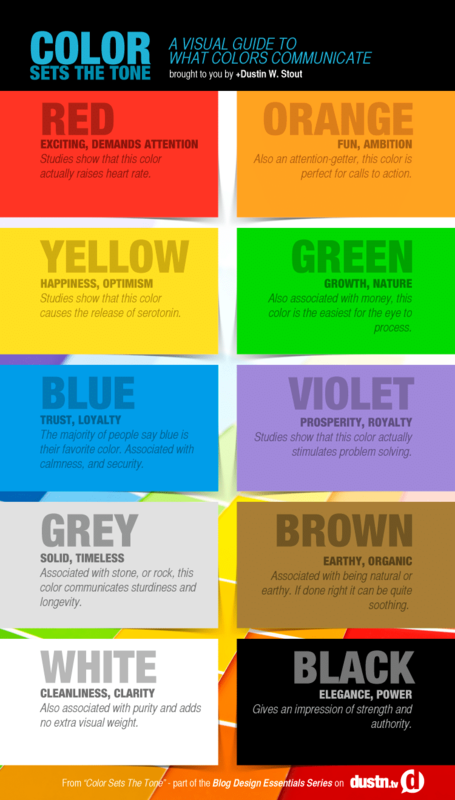 For more factual proof of just how effective colors can be, take a look at the infographic below by KISSmetrics. It includes some interesting statistics about the effect of color on conversion rates.